Tony Winner Betty Buckley Will Lead the National Tour of Hello, Dolly! 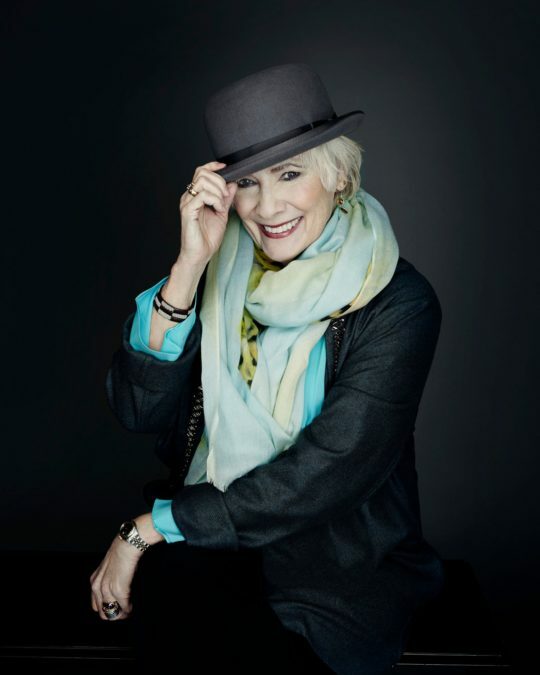 Tony Award-winning Broadway legend Betty Buckley will star in the first national tour of Hello, Dolly!, the Tony-winning Best Musical Revival, which will launch October 2 at the Connor Palace at Cleveland’s Playhouse Square. Full tour dates and cities as well as additional casting for the tour will be announced in the coming weeks. "I am so thrilled and happy to be playing Mrs. Dolly Levi in the first national tour of Scott Rudin’s rapturous production of Hello, Dolly!. The great Jerry Zaks has brought such wit and wonderful comedy to this classic Michael Stewart and Jerry Herman show," said Buckley, in a statement. "When I saw the new Broadway production starring the divine Bette Midler, I literally wept with happiness. It was one of the most joyful productions I have ever witnessed in the musical theater! I am delighted and honored to be added to the list of the wonderful actress/singers who have played the role. I can't wait to hit the road and bring this happy show to all of America!" Buckley is best known for originating the role of Grizabella in the original Broadway cast of Cats, for which she won a Tony Award. Her additional Broadway credits include The Mystery of Edwin Drood, 1776, Pippin, Carrie, Triumph of Love, Sunset Boulevard and Song and Dance. Buckley, dubbed "The Voice of Broadway," and whose 18th album Hope, recorded live at Joe’s Pub, will be released this spring, joins the astonishing list of show business luminaries who have inhabited the role, including Carol Channing, Pearl Bailey, Phyllis Diller, Betty Grable, Martha Raye, Ginger Rogers, Ethel Merman, in her last appearance on Broadway, Mary Martin, who led the West End company, and most recently in this celebrated new production, Bette Midler, Donna Murphy and Bernadette Peters. Led by four-time Tony-winning director Jerry Zaks and choreographed by Tony winner Warren Carlyle, the entire creative team of the Broadway production will reprise their roles for the national tour of Hello, Dolly!, including four-time Tony winner Santo Loquasto (scenic & costume design), six-time Tony winner Natasha Katz (lighting design), Tony winner Scott Lehrer (sound design), Andy Einhorn (music direction) and Tony winner Larry Hochman (orchestrations).